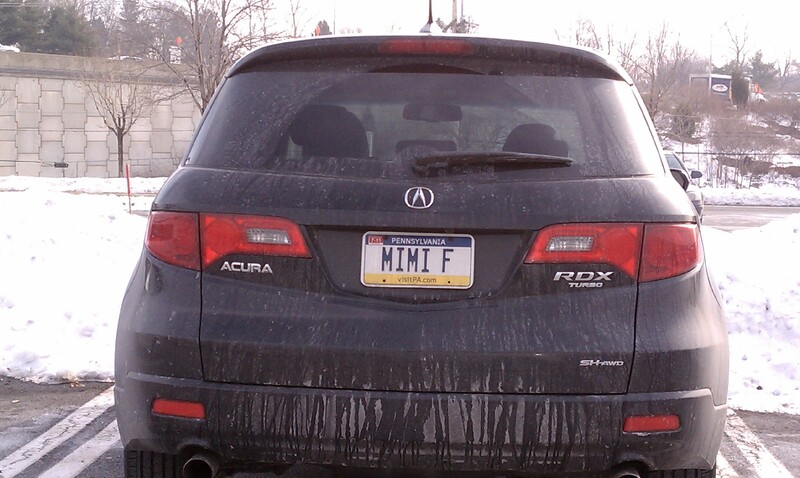 In March when we went on our Drunkation, on the way to the airport we spotted Mimi’s cousin! It was such a joyous day! I promise after this weekend I’ll be back to posting on a more regular basis. I have a lot of good stuff to share! 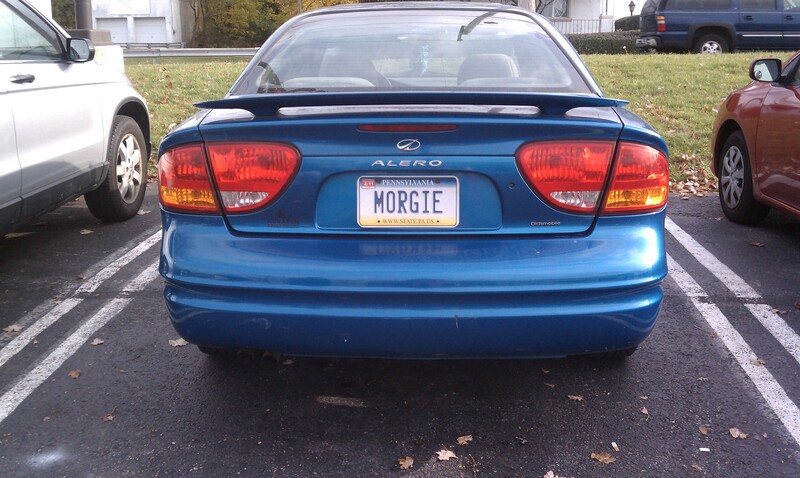 A while ago, my coworker Mimi and I went out to lunch and MORGIE was parked next to us. Pouncing on the chance to have a nickname of his own for me, he started calling me Morgie. Morgie lives in the town we work in because we’ve seen him times now. This makes Mimi very happy. Looking back, it was rather rude. Never hello. 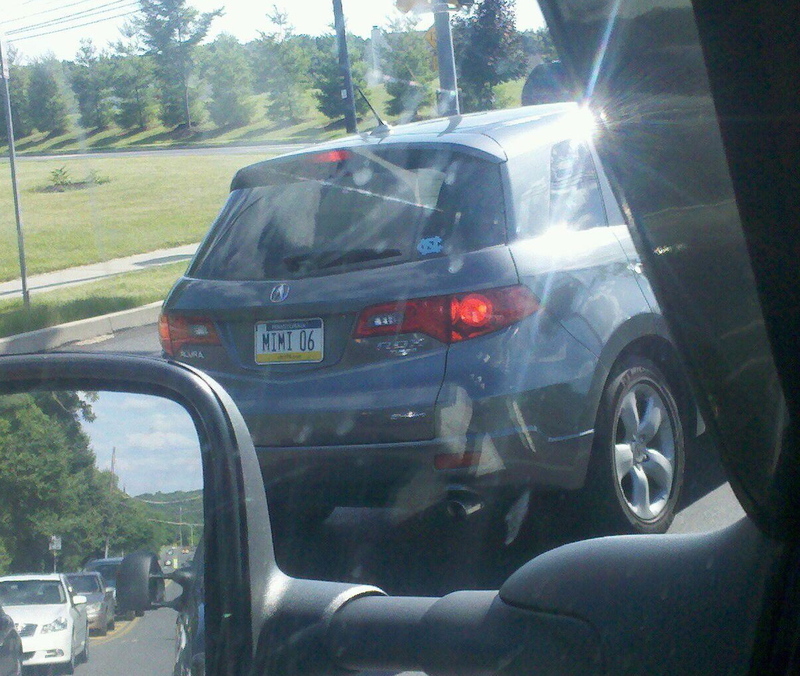 Never hi, whats your name? Just simply…got gum? 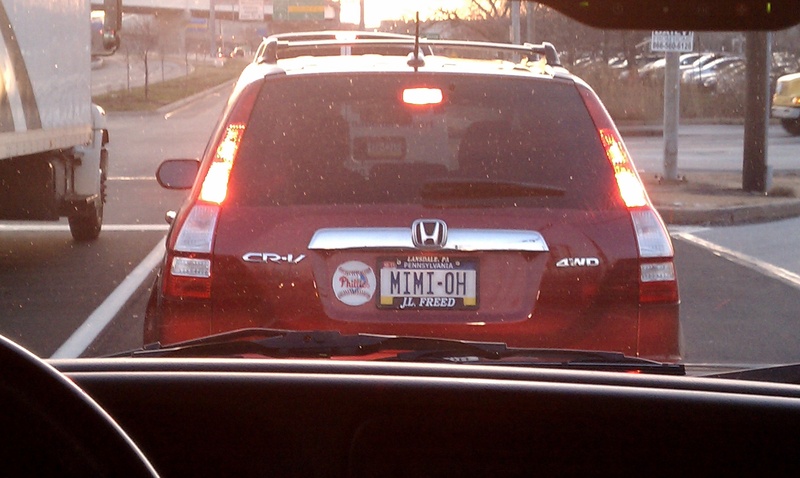 Eventually we all started calling her Mimi Gotgum. As if Gotgum was her last name. Mimi GotGum really stuck with me, mostly because it was a catchy name. I now have a co-worker who asks for gum daily and its gotten to the point where I just call him Mimi. To his face. I just can’t help myself. Well now, with the real Mimi being a faint memory from highschool, we were finally reunited!